A worldwide reference in the production of glass sheets for architectural applications, Vetrodomus has upgraded its production technologies with the new generation of CMS “vertical” machining centres designed for arris grinding, rough and polished grinding, milling and drilling operations. With over 45 years of experience in the production of structural glass and the ability to satisfy even the most demanding requirements of contemporary architecture, Vetrodomus of Brescia is one of Europe’s most successful companies in this sector. Its strength lies in the availability of technologically advanced systems that marry precision and versatility, thus enabling it to respond proactively to the varying needs of its customers. Vetrodomus’market positioning and identity have enabled it to put in place and develop important collaborations across broad market sectors including construction, and specifically the naval and railway sectors. The purchase of high-quality materials in line with EC standards, stored in the company’s large warehouses, includes: clear and tinted, laminated, reflective, and low-emissions Float glass. Also polyvinyl butyral, used in stratification, is purchased from major international manufacturers and stored in special refrigerated spaces to maintain correct temperature. Completing the services offered by the company, customers are always given proper technical support so that solutions can be found that match requirements. 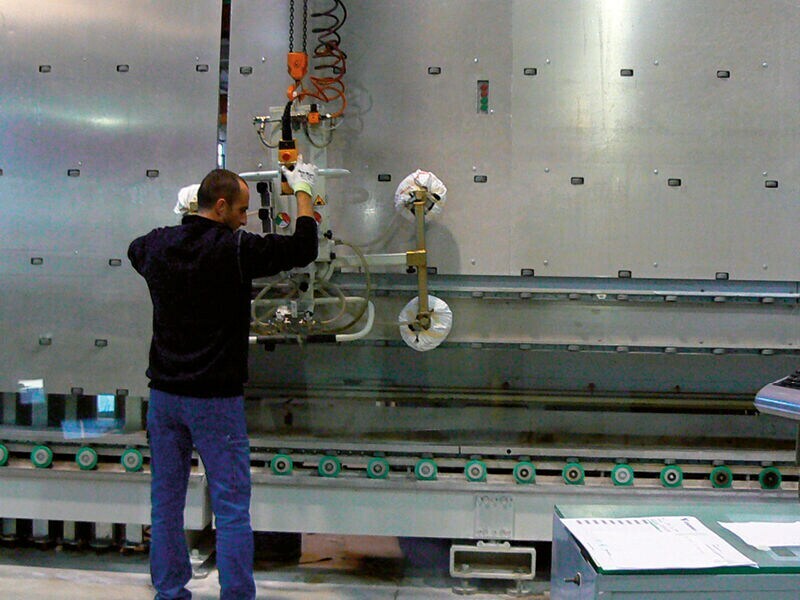 Vetrodomus has for several years availed itself of CMS for installing the main glass sheet processing machines. The first machines were the Futura bilateral grinding machines and a Deltagrind machining centre with the specific function of arris grinding. 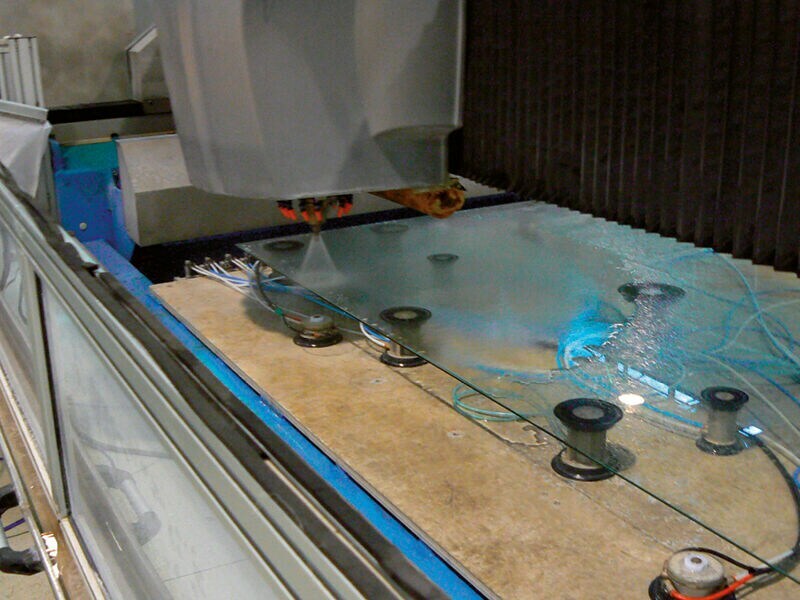 An FT 6.73 multifunctional machining centre was then added to its range of machine capabilities, and was particularly effective in the processing of glass sheets with circles and ellipses. With the recent introduction of the Profile machining centre, Vetrodomus has further extended its range of machines, resulting in an “integrated technology” dedicated to the manufacture of glass, thanks to various solutions provided by CMS. The operation of the machines reveals strategic intelligence, based on dedicated software developed at the CMS research centre. The Profile machining centre can be controlled and managed by a single person, who interfaces with a console containing all operating data specified completely and rationally, with full-time monitoring. 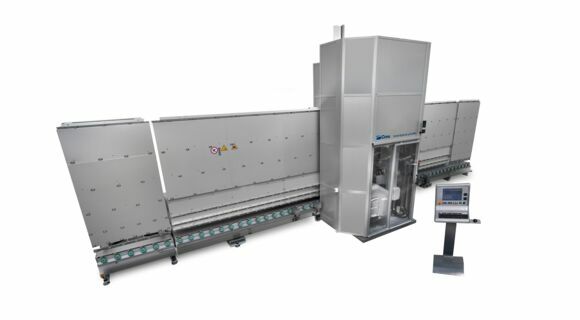 The use of the bar code labels proves to be of key importance: when the glass sheet reaches the vertical line, the operator scans the bar code with the scanner gun and the line automatically resets to activate the operations required for that type of glass. The programming, performed in the office and even remotely, involves the simple creation of a .dfx file with a layer for each particular process. The system facilitates a continuous production cycle, thus eliminating downtime caused by machine-based programming. As a result of its knowledge and professional insight into architectural culture, Vetrodomus is able to provide its customers and suppliers with an attentive, personalised, constantly updated, and consistent quality service, which represents a genuine partnership as well as quality products that are second to none in terms of reliability and creativity. For Vetrodomus, the decision to acquire a vertically-operating machine grew out of its relationship with CMS, which is now a reference point on the technological landscape, a relationship which also expressed itself in terms of consultancy and took into consideration Vetrodomus’ innovation and its opportunities for optimising its production chain. Vertical Glass Milling Machine Grinder-milling-boring machine with 4 interpolated axes and 4 correction axes for milling, polishing and grinding square and shaped glass panes. The only true vertical CNC machining center.